With all eyes on Brazil this summer, what better way to celebrate the games than to recreate the flavors of the host country? 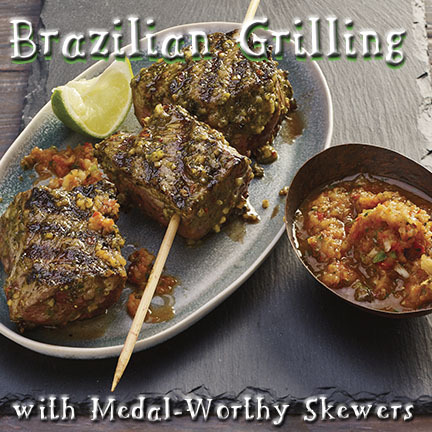 Create your own backyard Brazilian barbecue with traditional meat skewers that pack a bold flavor punch. 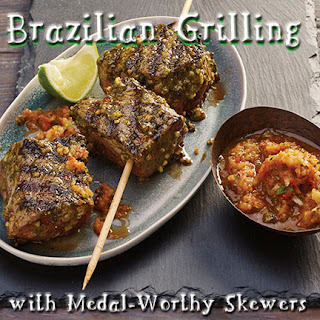 For more easy tips and recipes to host an award-winning Rio-themed party this summer, visit GrillMates.com and McCormick.com. Also, check us out on Pinterest and Facebook. Mix Marinade Mix, oil, water and vinegar in small bowl. Reserve 2 tablespoons for brushing. Place pork and steak into separate large resealable plastic bags or glass dishes. 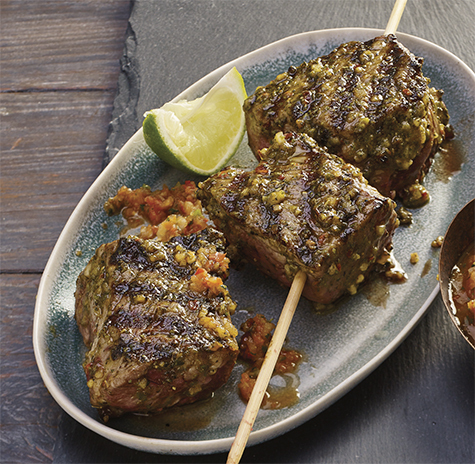 Divide remaining marinade evenly among pork and steak; turn to coat well. Refrigerate 15 minutes or longer for extra flavor. Remove both meats from marinade. 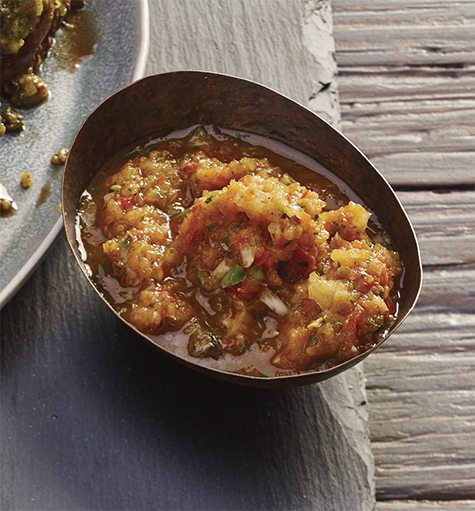 Discard any remaining marinade. Thread pork and steak onto skewers. Grill skewers over medium-high heat 8 to 10 minutes or until meat is to desired doneness, turning occasionally and brushing with reserved marinade. Kitchen Tip: If using wooden skewers, soak thoroughly in water for at least 30 minutes before threading with meat. This prevents them from burning when on the grill. Place all ingredients in food processor or blender; cover. Process just until finely chopped. Refrigerate at least 30 minutes to blend flavors.